Only SpecsPRO can tell you with no doubts which laptop is better Apple MacBook Pro with Touch Bar or Dell XPS 15. We have compared Apple MacBook Pro with Touch Bar vs Dell XPS 15 configurations side by side: weight, display, processor, battery and all other specifications. 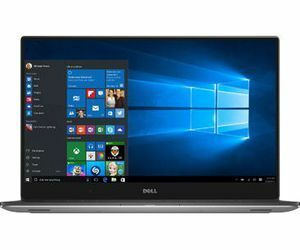 The Dell XPS 15 9550 is produced with a more number of memory 32 GB DDR4 SDRAM compared to 16 GB LPDDR3 SDRAM of the Apple MacBook Pro with Touch Bar 15-inch, 2016. This means that the XPS 15 9550 will show a faster performance. The XPS 15 9550 has a higher Ultra HD 4K screen resolution that will let the notebook owner to enjoy working with design applications. 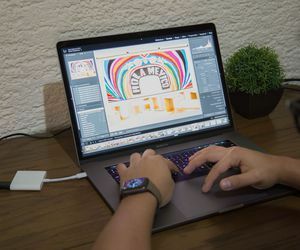 The Dell XPS 15 9550 uses a 1 TB SSD that is larger in compare with 256 GB SSD, flash storage, flash storage, flash storage, flash storage, flash storage, flash storage, flash storage, flash storage, flash storage, flash storage, flash storage of the Apple MacBook Pro with Touch Bar 15-inch, 2016. The XPS 15 9550 is equipped with a faster NVIDIA GeForce GTX 960M graphics board that will let the laptop to run more number of modern games. The Dell XPS 15 9550 has a better battery life as it is equipped with 84 Wh cell that is 8 Wh bigger in comparison to the Apple MacBook Pro with Touch Bar 15-inch, 2016 battery. It means that this laptop will work longer without charging. The Apple MacBook Pro with Touch Bar 15-inch, 2016 weighs 4.03 lbs that is 0.38 lbs lighter than the weight of the Dell XPS 15 9550. Considering the above-mentioned differences the Dell XPS 15 9550 becomes the best buy. Get the lowest price on Amazon . Apple MacBook Pro with Touch Bar and Dell XPS 15 comparison will help you to find out which laptop will become the best buy. The cheapest price for any of these notebooks you'll find in the list of offers from Amazon on the device pages. Besides Dell XPS 15 to Apple MacBook Pro with Touch Bar compare specs of other laptops easily.